LAIP: What would your dream library makerspace look like? CG: My dream space would be full of students creating and designing their own creations and inventions with minimal assistance from me. 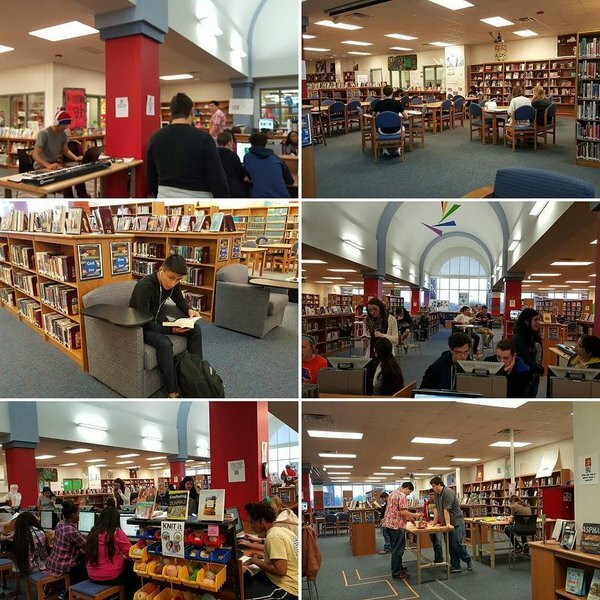 Kids would be making music in one corner, filming movies with a green screen in a video booth, collaborating together prototyping other inventions with small electronics, and the library would still be full of “normal library use” like kids reading, working, and studying. I feel like I’m pretty close to living in my dream library makerspace, but my students just need to know a little more stuff to get there. Right now, we are still building the culture of making at our school, so the students still rely on mentors to help them understand the basics of coding, using power tools, learning skills, etc. I’d also like to integrate a sewing center and somehow get a CNC laser cutter, but since we have those things on campus in our career technology classes it isn’t really pressing right now.